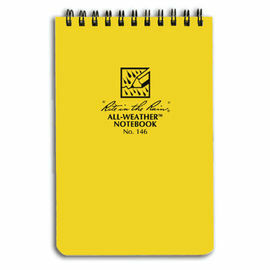 The Chartwell Watershed Notebook is a premium, all-weather, top-bound notepad for the outdoors. 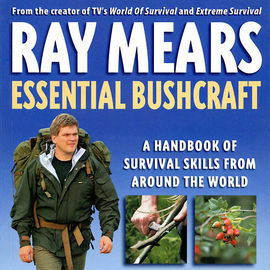 No Woodlorean should be without their notebook, and this particular piece of kit is used often by both Ray and many members of the Woodlore team. Unlike other notepads, this Chartwell model is solid and sturdy, allowing you to easily make notes on the fly. The PVC-coated covers enclose 50 sheets of ruled waterproof synthetic paper, which accept both pen and pencil, even under water. 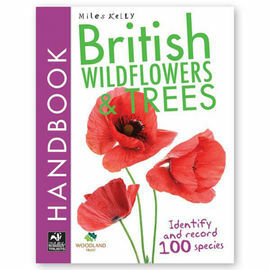 This piece of kit is ideal for those attending one of our Bushcraft courses, as it's perfect for jotting down those important facts and references whilst out and about, whatever the conditions are. 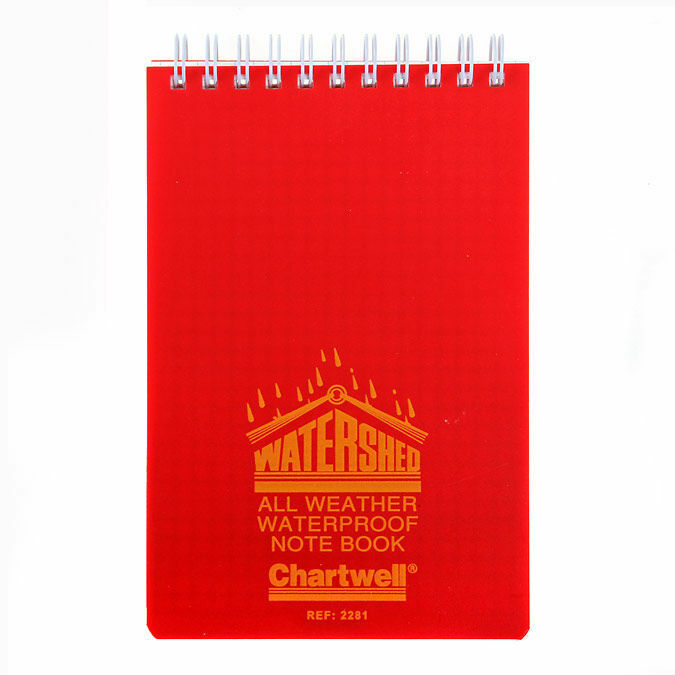 Chartwell Watershed Waterproof Notebook is rated 5/5 based on 4 customer reviews. Very handy for UK based climate. Nice size. Works perfectly. Used on Fundamental Course in heavy rain. Performed better than my WP Jacket. Smooth to write on with pen or pencil. Robust but pages tear away easily when required. Absolutely no smudging. Excellent value. 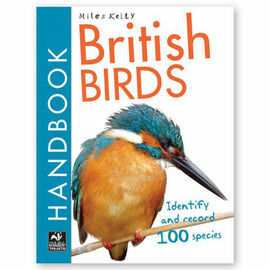 I purchased this waterproof notebook to jot down jobs that need doing on my land; for example, filling in gaps in the hedges and coppicing other areas etc. I was surprised that it worked so well in the rain. 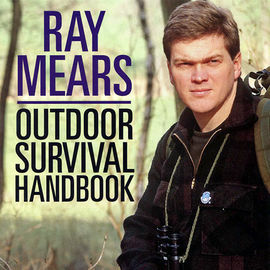 A great stocking filler for an outdoors person.